In the video embedded below, Acosta is present at a White House event where President Trump delivered remarks about the five journalists murdered in Maryland on Thursday. As you will see, though, Acosta is clearly too far away to be seen or heard by the president. 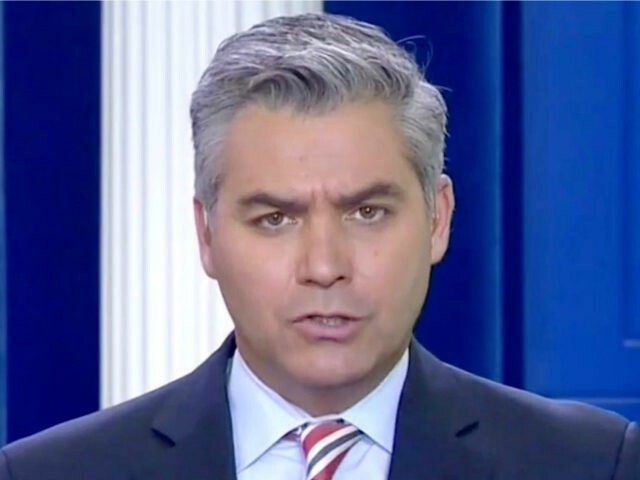 It is only at the end of the video that we discover Acosta’s true motive, and it is the opposite of journalism. Watch as Acosta turns around to look at his cameraman and appears to ask if they got the shot. Then the camera lights are shut off, which again reveals just how staged and artificial all of this is. Acosta and CNN knew Trump was too far away to hear the question. This is staging news, manufacturing news, a fictional piece of propaganda produced as a means to deliberately mislead the public and embarrass the president. Acosta is so far away from Trump, you can barely make out the president from where Acosta is standing, and yet, to fabricate fake news, Acosta films the propaganda of him shouting a futile question and then publicly accuses Trump of refusing to answer. If the media do not want to be called the “enemy of the people,” maybe they should stop acting like it.